Now you can eat spoons too at the end of your meal! Do you eat everything by the time you end your meal? Everything means like spoon that feeds you, do you eat it too? 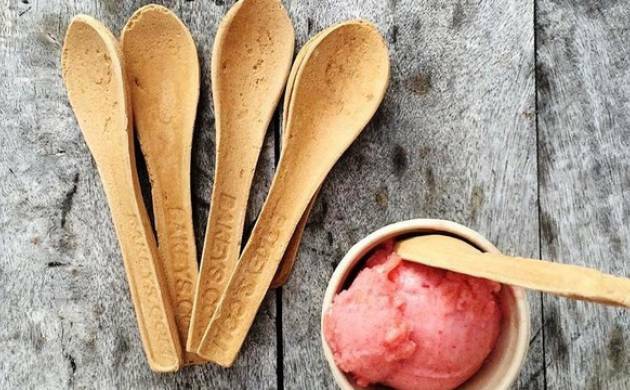 Bakeys, an edible utensil company is making edible spoons which you can eat at the end of your meal. Unlike plastic utensils that harm the environment and body too. This can be considered an environment-friendly step also as plastics have been known to leach dangerous chemicals. Just for $4 for a pack of 100 spoons, they’re quite affordable as well. Should you choose not to eat your spoon (because you’re gluten intolerant or whatever), you can toss it in the garbage and it’ll decompose within 5 days. Bakeys has surpassed its $20,000 goal on Kickstarter, but it could always use the extra funds.